Just like with your home, roofing problems at your office can cause quite the headache. The last thing that you want to have to worry about while trying to work is dealing with your building’s roof. And because of the design and structure of commercial buildings, the cost to repair damages from broken or faulty roofing materials can dwarf those for similar repairs needed for a residence. 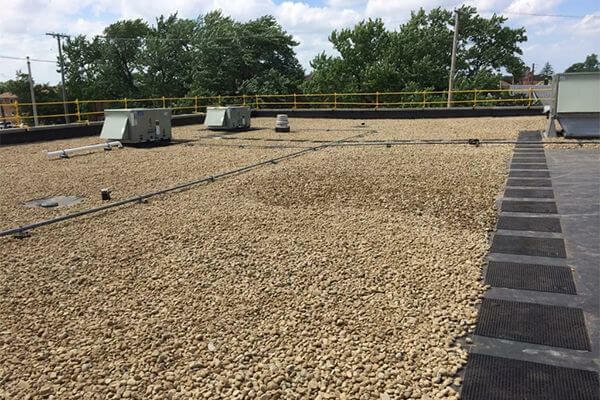 If you’re experiencing roofing issues at your office building, worry no longer; our team at West Side Roofing is trained and equipped to handle any and all commercial roofing issues. Of all of the roofing companies in Cleveland, Ohio, we’re confident that we’re the best at transferring our expertise from residential to commercial jobs. Just ask the any of the many satisfied commercial customers that we’ve helped during our more than 80 years of service. Once our initial job has been completed, you can rest assured that we will remain available to you for any maintenance issues that you need. 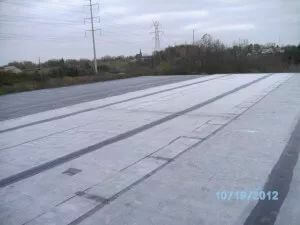 When it comes to commercial roofing in Cleveland, Ohio, we guarantee that our service is the most complete. Faulty flashing: Flashing is installed on your roof to deflect water away from pipes and chimneys. Over time, flashing expands and cracks, allowing water to seep through. 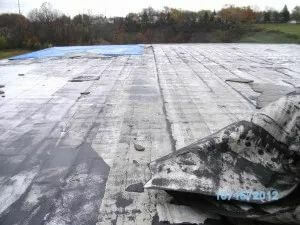 It’s estimated that over 95% of commercial roofing leaks are due to faulty flashing. Standing water: Faulty flashing, clogged or blocked drains, or a poorly designed roof can lead to the accumulation of standing water. Over time, puddles can start to deteriorate the roof and leak onto the roof deck below. Wind uplift: Cracks and openings in flashing and other commercial roofing materials allow air infiltration. As wind blows over the roof, the pressure of the air being pushed into theses openings increases, pushing it upward and loosening fasteners or even ripping the material off altogether. 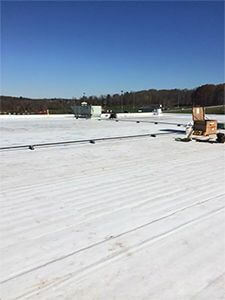 Customers are often surprised to learn that a majority of commercial roofing issues are due to roofing components that were initially poorly installed by other Cleveland roofing companies. Even issues that take 10-15 years to manifest can be due to installation issues. At West Side Roofing, we help you avoid those issues by not cutting corners and making sure your job is done right the first time. At West Side Roofing, we provide both quality Residential and Commercial Roofing, as well as Siding, Gutters, and other services in Cleveland, Akron, and Northeast Ohio. Visit our Contact page or give is a call at (216) 898-1900 or (877) 881-ROOF (7663) for more info on how we can solve your commercial roofing issues.